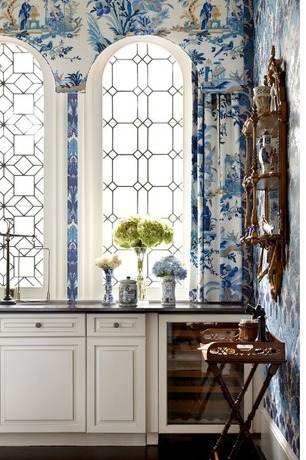 So many of you have asked to learn more about this wonderful blue and white space. 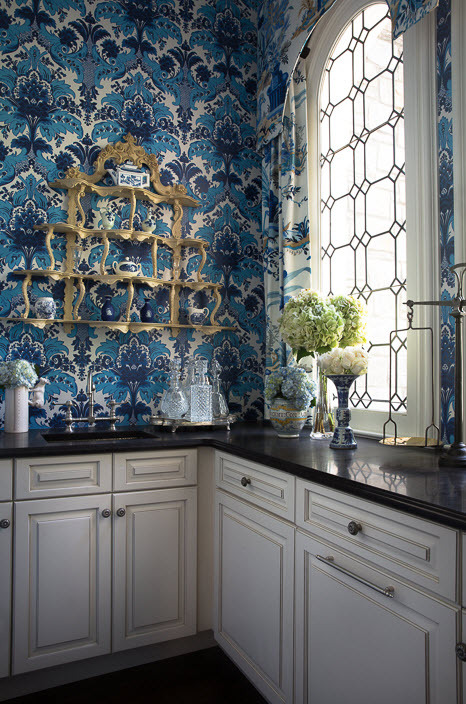 It is a butler's pantry created by Kellie Griffin Interiors for the 2013 Atlanta Symphony Decorators' Show House and Gardens. 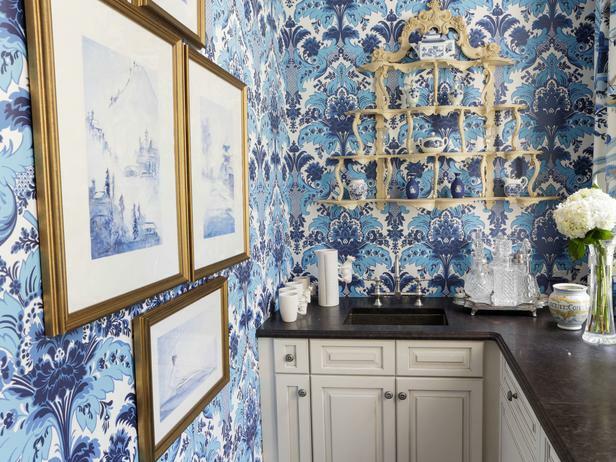 The damask wallpaper is Cole & Son Albemarle Aldwych and the fabulous blue and white Chinoiserie toile window treatment is Brunschwig & Fils' iconic Le Lac. 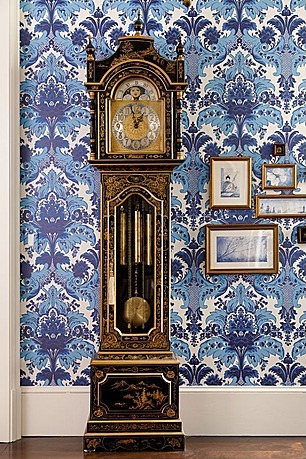 I love the Chinoiserie grandfather clock! 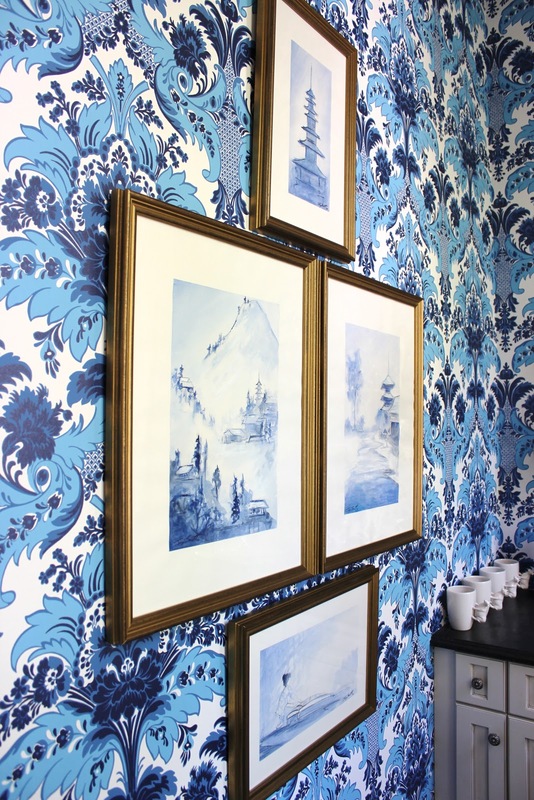 I have hunted down more photos of the room to share with you. 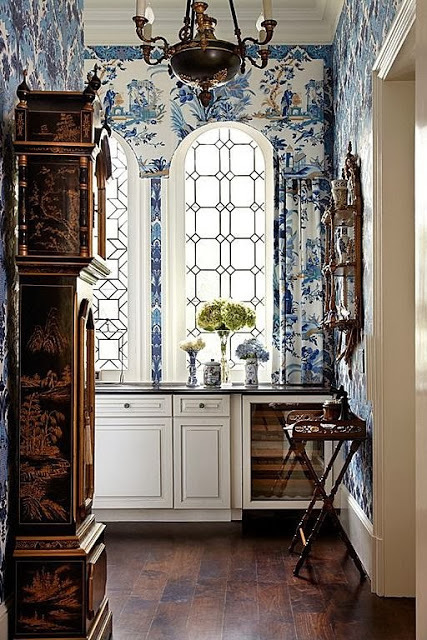 It's very strange, but almost invariably I love the butler's pantries in these show houses the best and they are often done with Chinoiserie. 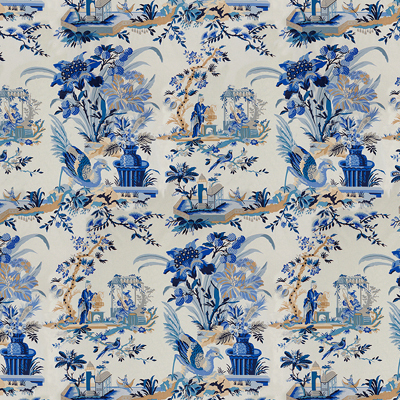 Beth this is one of my favorite Chinoiserie images ever! 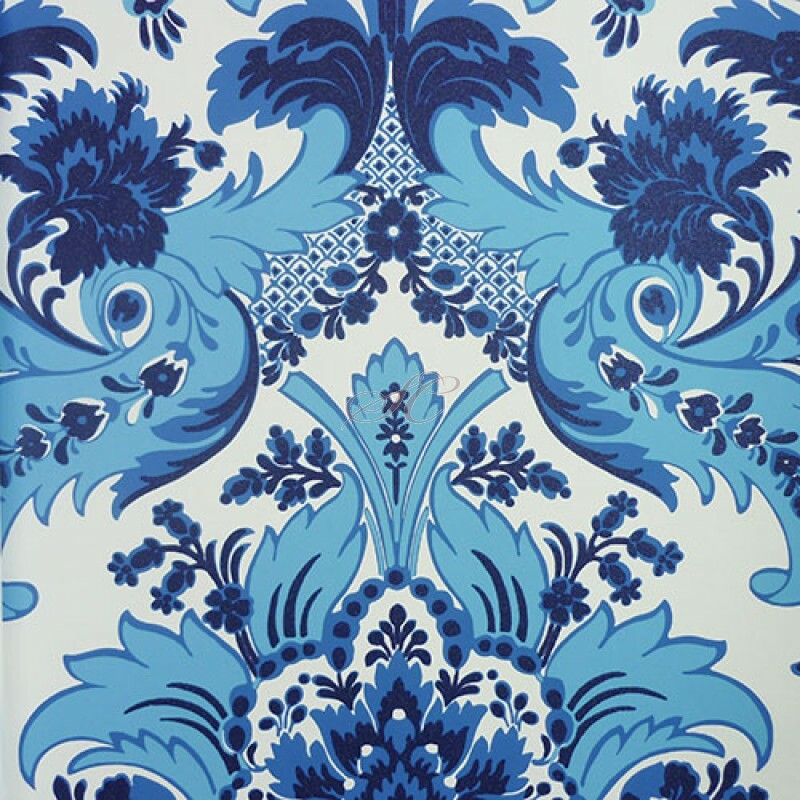 Wonderful Balance of the dark and light Blues in the Damask Wallpaper - It would enliven any room-! 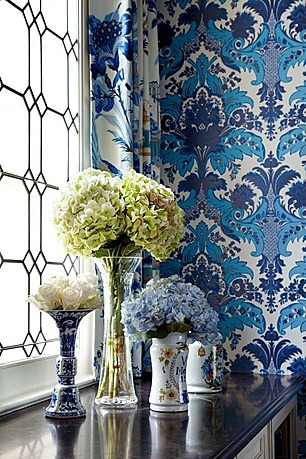 And the Brunschwig & fils - So Whimsical-! 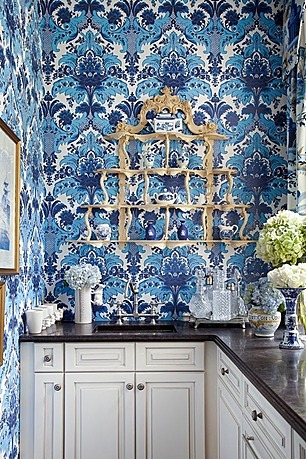 Luv that-!